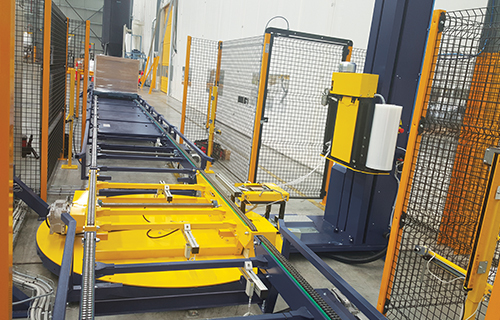 Omni has developed a large range of Semi-Automatic, Automatic & Fully Automatic Pallet Wrapping Machines as well as the option to custom make inline wrapping systems for high volume production lines. 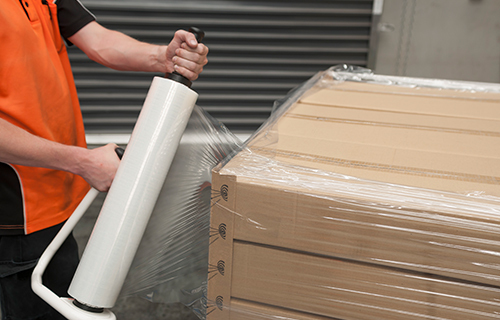 When purchasing a pallet wrapping machine, it is important to select a suitable machine for your requirements. 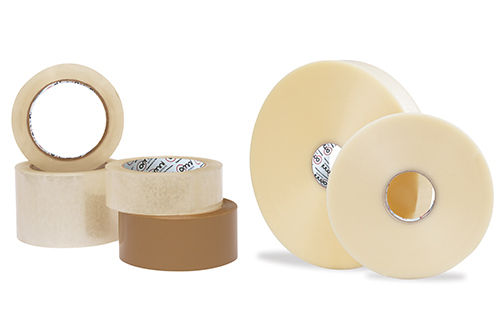 Everyone’s goal is to achieve the maximize warehouse efficiency and optimum load containment while reducing film. 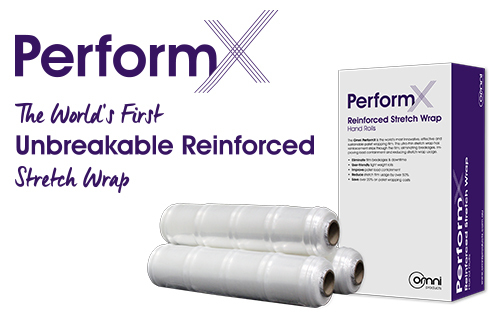 If you share the objective for your warehouse we have the solution, it’s called The Perfect Pallet Wrapping Solution. 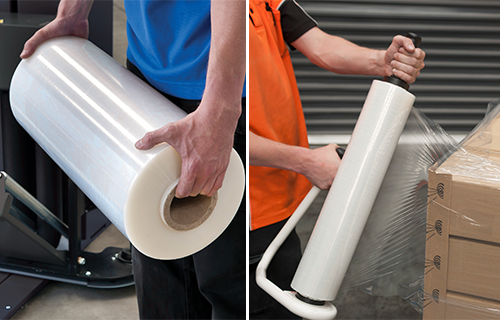 Semi-Automatic Stretch Wrappers require you to attached the film to the pallet load before wrapping the pallet. The stretch film tail needs to be cut off once the pallet has been wrapped. 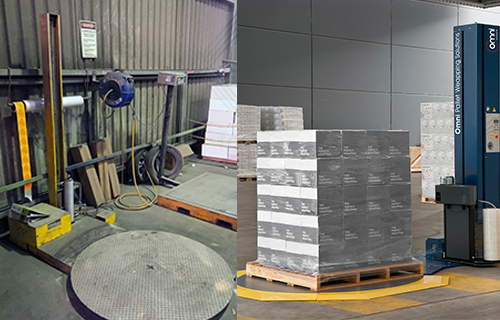 These type of pallet wrapping machines suit a majority of warehouse with a low to medium amount of pallets to be wrapped per day. 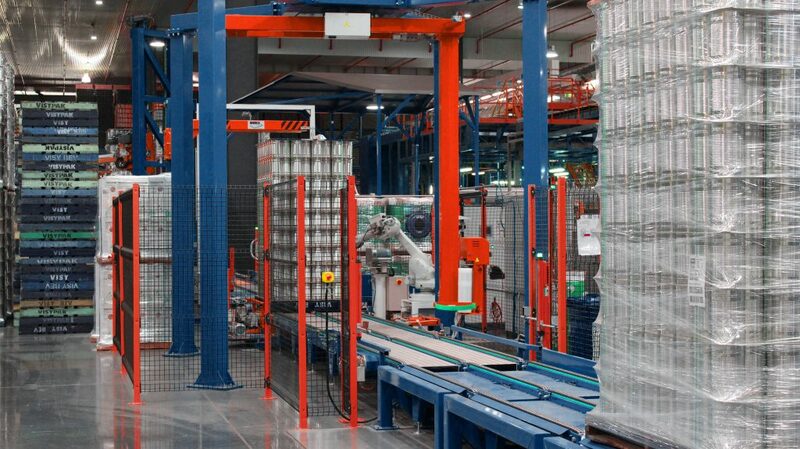 More automatic pallet wrapping machines are preferred by high volume pallet wrapping requires. The Omni range of semi automatic pallet wrappers have more automation options than any other on the market. 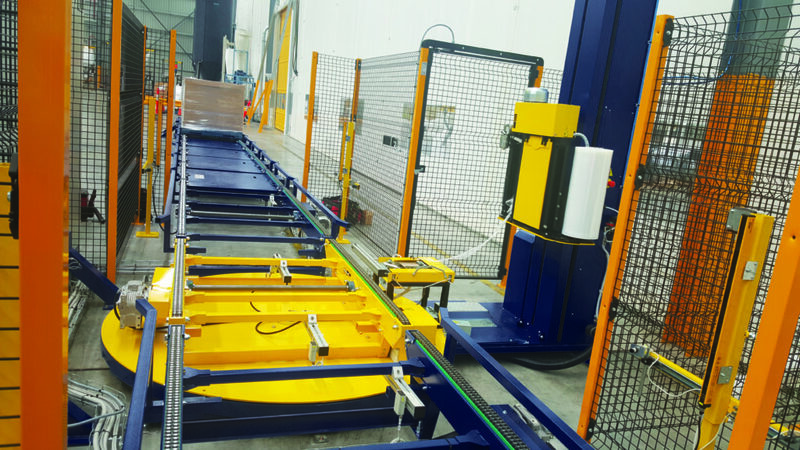 With the unique ability to pre-set up to 32 user programs, our pallet wrapping machines can automatically adjust its wrapping setting for each pallet load. 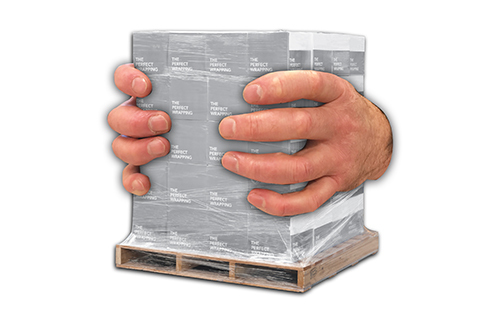 The tension is released when the film comes to the corner of the pallet. 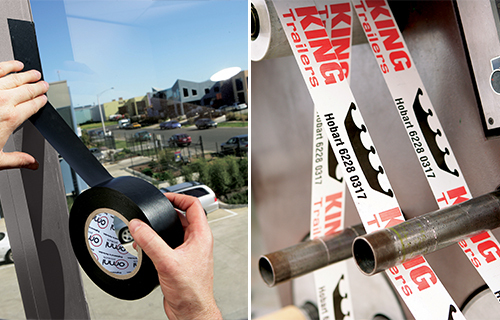 This prevents the film tearing while still maximizing stretch yield. The ‘automatic’ pallet wrapper comes with the same programming options as the semi-automatic and more. These machines will automatically attach the stretch film to the pallet and cut it off and seal it back at the end of each wrapping cycle. This can be controlled by a remote or a mounted control button nearby you don’t need to get off the forklift. This system has an air device to blow the film tail up and ensure that no film is left dragging off the pallet. 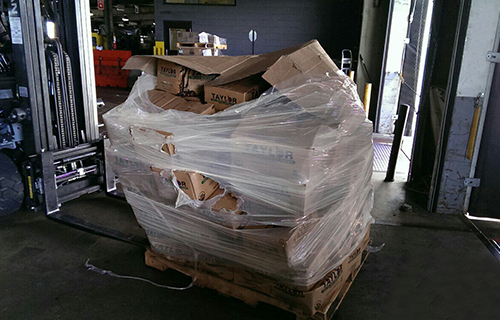 This feature is unique of the Omni Superplus pallet wrapping machines. Dragging film tails from the pallets of one of the biggest causes of poor pallet load containment. The reason for this it the film tails can get caught on objects and loosens and unwraps the stretch film from the pallet. 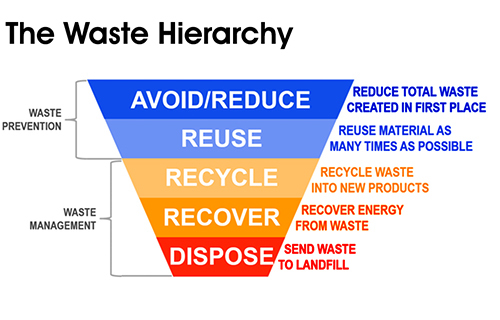 Click here to View Guide to Improving pallet load containment.